Shortly after joining USG in 2012, Kirk Kazienko was introduced to John McGrath at an industry trade show. 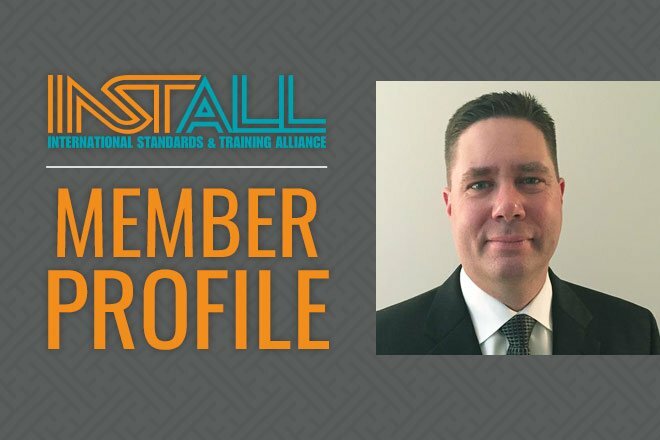 At the time, John was on the cusp of developing new training and certification programs for floor preparation. USG was at the same time developing these products and putting greater emphasis on underlayment training, making it an ideal opportunity to get in front of an influential trade group and develop relationships with floor installers, distributors and others who would ultimately be using the brand and its products. Since that first meeting, Kazienko has developed a strong relationship with both McGrath and INSTALL collaborating on the importance of training and certification. INSTALL and Kazienko are working together to bring industry experts, architects and contractors together for AIA-approved CEU sessions on moisture mitigation and acoustical floors, round table discussions and a USG performance flooring portfolio review in the recent USG Symposium events.